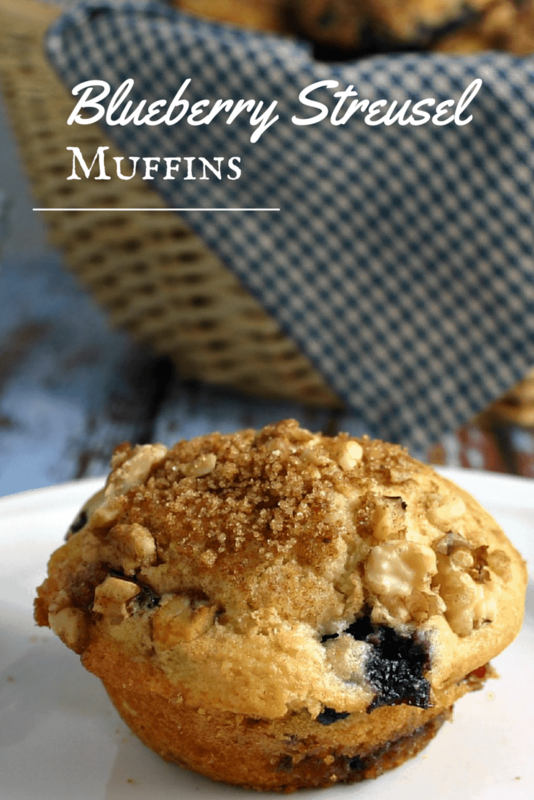 Fresh blueberries in my fridge on Saturday morning called for baking these scrumptious Blueberry Streusel Muffins. The brown sugar-cinnamon-walnut streusel is layered along with the batter and then sprinkled on top of the muffins before baking, creating a little bit of spice and crunch both inside and outside. Right in the middle of mixing up these muffins, I realized that I didn’t have quite enough brown sugar in my pantry. 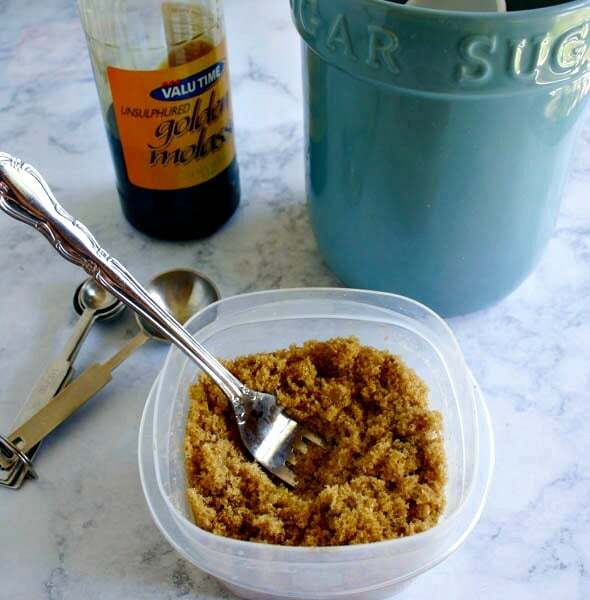 I did not want to make a trip to the grocery store for just a few tablespoons of brown sugar, so thanks to Google, I discovered a new kitchen hack that saved the day! 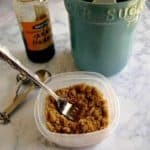 Did you know you can make your own brown sugar? It’s so simple that I may never buy the packaged variety again. All it takes is a cup of white sugar and one tablespoon of molasses, and luckily, I happened to have on hand! Pour the molasses over the sugar and stir with a fork until incorporated – so easy and convenient! I think fresh blueberries taste best in this recipe, but frozen will work in a pinch. Enjoy! 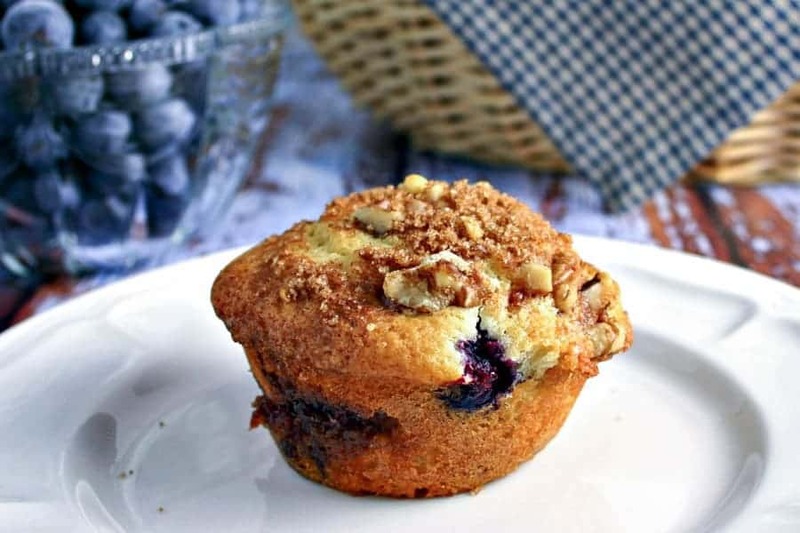 Blueberry Streusel Muffins - streusel is layered along with the batter and sprinkled on top, creating a little bit of spice and crunch both inside and out. In a small bowl, combine ingredients with a fork until all the molasses are incorporated. Store in an airtight container. May use a food processor for mixing as well, but I found that a fork works just fine. Preheat oven to 425 degrees. Spray 2 12-count muffin tins with cooking spray (or use cupcake paper liners - for 14 muffins). Combine all streusel ingredients in a small bowl and set aside. In a stand mixer with the paddle attachment, beat butter on high speed until smooth. Add the white sugar and brown sugars and beat on high for 2 full minutes, scraping down the sides of bowl as needed. Add eggs, yogurt, and vanilla and beat on medium for one minute. Increase speed to high and beat until smooth, scraping down sides as needed. Add flour and mix just until combined. Add the milk, mixing on low until combined and little lumps remain. 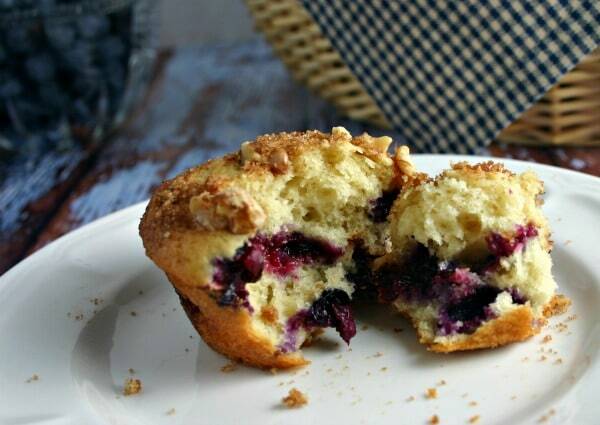 Place 1 tablespoon of batter into muffin tins, then top with a little streusel. Add more batter until the muffin tins are filled to the top. Last, top with more streusel. Bake for 5 minutes at 425 degrees, then reduce the oven temperature to 350 degrees and bake for another 18-21 minutes, until a toothpick inserted in center comes out clean. Cool in pans for 3-4 minutes before removing. Thanks, Friend! You definitely should try them.